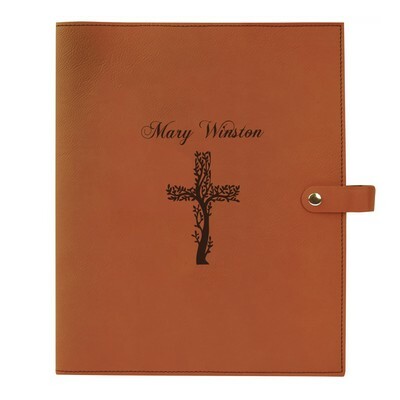 Protect a treasured family heirloom or your everyday Bible with our Personalized Black Leatherette Bible Cover. 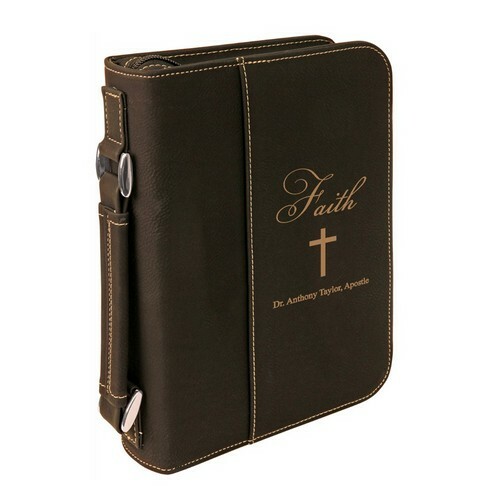 This beautiful leatherette Bible cover protects Bibles from stains, scratches, and torn pages. 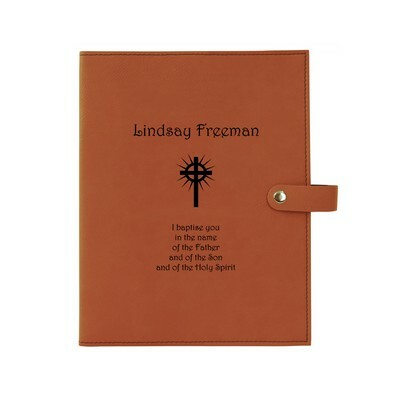 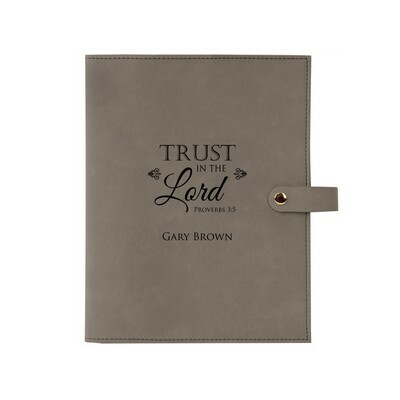 This is a very sleek and sturdy bible cover to keep your bible protected and to give it a beautiful personalized look.Personalize it with the recipient’s name or a short message! 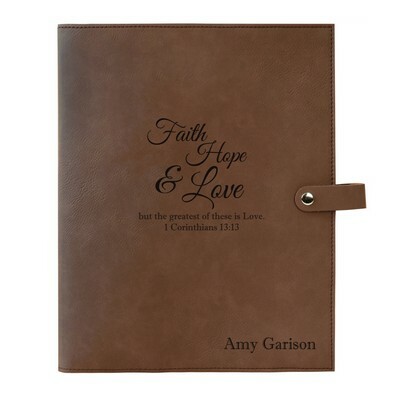 This richly textured, synthetic material is water resistant, easy to clean and durable enough for the rigors of daily use.To clean laserable leatherette items, use water and soap. 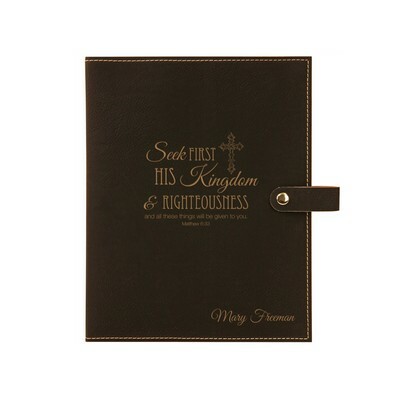 it will not leave water spots. 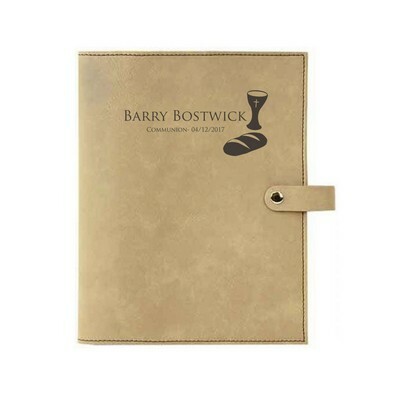 Alcohol works well on pen marks. 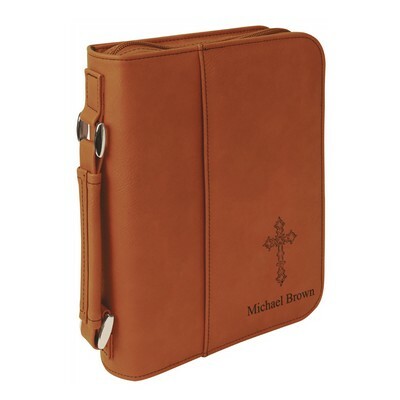 Leatherette does not absorb finger oil and is stain and water resistant. 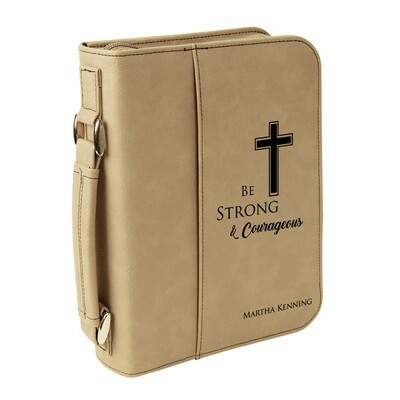 Nylon-lined interior with an elastic pen band & flaps to hold bible in place. 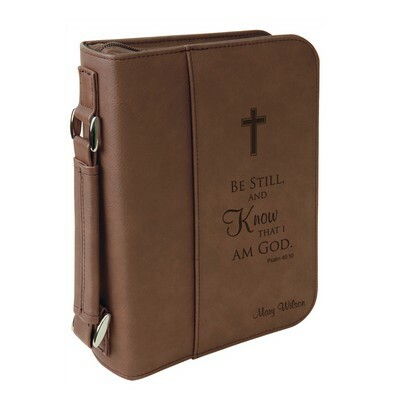 You can earn 60 MG Rewards Points on this product!